After reading the negative reviews, I was a bit hesitant in applying for the card. The application process was easy and quickly received my card in the mail. The main reason I applied was for the balance transfer promotional apr. I was able to transfer two credit card balances without any problems. I set up the balance transers online. I agree with some of the reviews that the website and the app are not user friendly. Once I figured it out, it was easy to set up payments. I've never contacted customer service. I got this as a balance transfer card because of 18 months/no interest. This is the absolute worst experience I have ever had with a credit card, or simply any customer service i have ever dealt with. i have 'missed' multiple payments due to their incorrect inputting of my info, which has impacted my credit score negatively. There is not way to make an online payment, and they send no confirmation to you when you tdo make a payment. I've had to call, spending over a half hour on the phone every time, to make my on time payments, only for them to input info wrong or not process the payment, resulting in my being considered past due and incurring fees. Customer service is a nightmare and is not helpful at all, anything you want to do other than make a payment (which they cant even accomplish succesfully) they will refer you to someone else, who in my experience cant resolve anything either. I would advise anyone considering applying to stay as far away as possible. This has been a nightmare without an end in sight, my account is now considered clsoed due to their incompetence and I am powerless in trying to change that. I am reporting them to consumer affairs and the BBB as they constantly fail to prpovide the service they advertise. This card is ridiculous, customer service is horrid, payments take forever to post, resulting in late fees, they pretty much set you up to get nailed with late fees. The website it terrible to say the least. There are much better card out there with awesome customer service. DO NOT APPLY FOR THIS CARD. Run!!!! This card and bank and customer service will destroy your credit score by trying to nail you with late fees. Application process was easy enough. Decent limit. Easy balance transfer which is why I got the card. Worst time paying bills than with any other card I’ve ever had. Customer service has not been the friendliest. I have had issues with my payments posting on time, something I haven’t had to deal with on my other accounts. No missed payments in 4 years, but with this card they have been knicking me with a late fee every month since I got the card in December 2018. Customer service told me bill pay can take an extra 7-10 days for it to post to my account, although the funds have already been withdrawn from my bank account and on their side it doesn’t show records of a payment until a week after. I’m suspiciously mistrustful of this company. I’ll be happy once the transfer amount is paid off. I don’t think I’ll ever do business with HSBC again. Go with Capital One. They are always straightforward and honest, and easy to understand. I logged in from Mexico while I was there for work. It got locked, which I understand. I did the online chat, they told me to call. I did. It went reasonably well. I then tried to go online and pay (I kept getting hit with late fees, which never happens to me) and couldn't find it, so I did online chat again, and was told for some random reason it was turned off. I don't think is the first time it's ahppened. They couldn't tell me WHY I couldn't, just that I couldn't. I literally never use this card anymore. I'll be paying the fee to transfer the balance elsewhere, and staying the heck away from HSBC in the future. Avoid this company like the plaque. Why avoid it? More detail please. You posted a worthless review for the rest of us. I thumbs down you, not HSBC. I received this card in the mail yesterday with a $4000 credit line. I immediately activated it and it was subsequently declined both times I tried to use it. I called customer service and there was so much background noise on the line I couldn't understand what they were saying, so I hung up and tried online chat. After explaining the problem in the chat window, the chat person (who didn't seem very familiar with the English language) responded that I was approved for a new MasterCard with a #### limit and I would be receiving it in 7-10 days! What? I'm just trying to use the card they already sent me! It really shouldn't be this difficult! While my experience with HSBC has been good overall ( l have both the Gold and Platinum cards) l can't believe that the mobile app doesn't have a way to post payments to your accounts. The only way to make payments to your credit card accounts is to either call customer service or login to the full website. Posted payments don't show up immediately after the posting date, leaving the customer to wonder if there's been any problems in applying the payment to the account. Read My Review Below! The Cards are AWESOME!!! Not The Bad Reviews others Give It! no Long wait times Like lets say Wells Fargo. 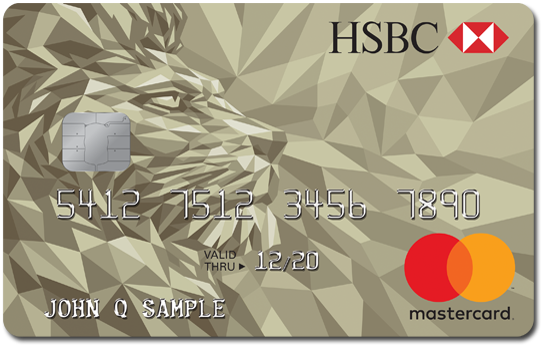 Good Security in Place, Cards are Never Declined, Overall Im Happy with HSBC. Yes, web site is a little overwhelming but I completed 2 balance transfers. Just waiting for them to pay those cc now. I received a large amount of credit to go zero percent and saved hundreds of dollars.